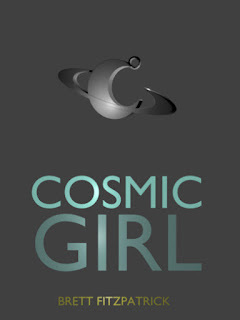 I’m working on my new book, with the current working title of Cosmic Girl. This is a title that has been used before... many, many times. According to Wikipedia it has been used as the title of a single by British funk/acid jazz band Jamiroquai, as the name of a Boeing 747 owned by Virgin Galactic, as the name of a single by German europop duo Modern Talking, and a 13-member South Korean girl group, among other things. I’m having doubts about whether such a well used title will actually make it onto the cover of my book, but it will do for now as a working title. As Den of Geek notes, back in 2009, the secretive Christopher Nolan began filming something called Oliver’s Arrow, and that, in fact, turned out to be Inception, Nolan’s much-anticipated movie set in “architecture of the mind.” Working titles are applied for all kinds of reasons. Some are due to secrecy, as was the case with Inception, but in most cases a working title is used because an appropriate name hasn’t yet been chosen. Ridley Scott’s Alien, for example, was referred to as Star Beast for several months before the final name was ultimately chosen. How The Solar System Was Won became 2001: A Space Odyssey. The actual title of what eventually became 2001 changed multiple times, including Journey Beyond The Stars, Universe, Tunnel to the Stars, and Planetfall, before a name was finally chosen, 11 months into production. Anyway, apart from coming up with the final title, whether that turns out to be Cosmic Girl or not, I am still going to have to write the actual book. Part of my process for this daunting task is to mock up a cover for the nascent sci-fi novel at the earliest possible point. Having a cover mocked up makes the book feel more real to me and helps keep my motivation high and also keeping writer’s block at bay. My main distributor is Draft 2 Digital, who are an aggregator, which is a kind of self-publishing service that sends my books to retailers including Amazon, Apple, Kobo and B&N. All I have to do is upload a text file of the book’s innards to them and an image file for the cover. For best results their cover art requirements are a JPEG at 1600x2400 resolution. I want the Cosmic Girl cover to look a little like the cover of the Hunger Games, with an enigmatic symbol as the only clue to what lies within the book, along with the blurb or course. 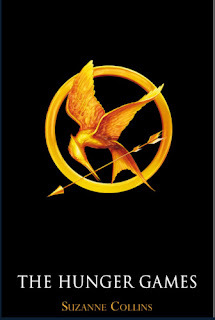 The symbol used on the hunger games cover looks like a painting, but I’m planning to do mine as a 3D model. 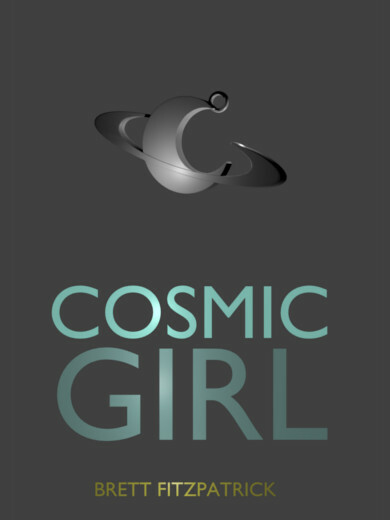 As a 3D model, I can use the symbol as the graphic on the cover of Cosmic Girl, but it can also be uploaded to Shapeways, to be sold as merch. The Shapeways article on Wikipedia is pretty good, as it happens. Shapeways is a New York-based 3D printing marketplace and service. Users design and upload 3D printable files, and Shapeways prints the objects for them or others. Users can have objects printed in over 55 materials and finishes. In July 2014, Shapeways announced a partnership program with Hasbro, Inc. to produce 3D printed models of characters from My Little Pony: Friendship Is Magic. My idea is that the symbol pendant can be printed out by their 3D printers and worn as a necklace by fans, just the way Cosmic Girl wears it, as the ultimate in merch. I’m creating the 3D model I’ll need for the symbol in Blender, because it’s cool, and free. Primarily the model will due duty as the graphic on the cover of the novel, though, so that’s where I started. 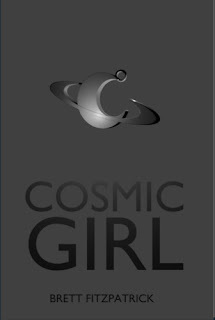 This is the first render of the 3D model for the symbol on the mock up of the cover for Cosmic Girl. Everything is in the default gray that objects are displayed as in Blender if you don’t select something more exciting, but the gray is pretty good. I’ll have to be careful adding color, so I don’t lose the sci-fi austerity of this design. There are some differences between 2D book cover rendering and 3D merch printing that mean the model created in Blender has to be tweaked for each of these two specific purposes. Unfortunately, it took longer to smooth the model for Shapeways than it did to construct it in the first place, but it’ll be worth it if anyone ever does buy the symbol as an actual necklace. When I had a mesh that looked pretty smooth to me, I exported it from Blender as an STL file and uploaded it to Shapeways. Shapeways has systems that then checked it to see if it would print, but this autocheck stage found some problems. Luckily, a Blender user named Jeff LaMarche has written a page on solving Blender mesh problems on Shapeways. It turns out my mesh had some non-manifold faces, which means the shape wasn’t water tight. You can tell by going into edit mode in Blender and pressing ctrl-alt-shift-M. This reveals non-manifold vertices that have to be fixed. All I had to do was create new faces (using the F key) to fix the problem. I re-uploded my model to Shapeways, but again it failed the checks. So what was the problem this time? My mesh was made of three different shapes, a loop for hanging the pendant on a chain, a planet and a ring. I had to laboriously stitch the three together into one block of geometry before Shapeways was finally happy with it. It still didn’t like some pointy edges, which it said might break off during the manufacturing process, but they were easy to make less pointy. 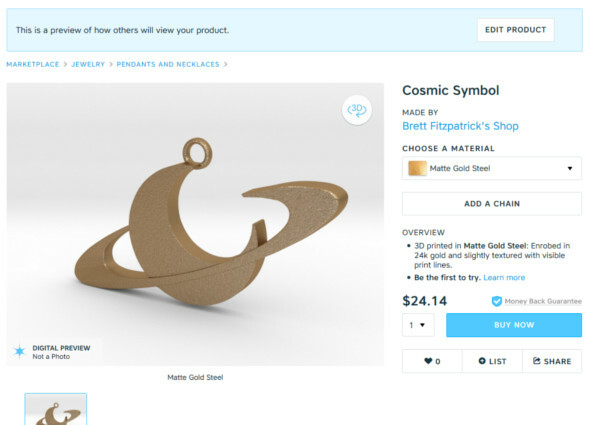 A prototype of the Cosmic Girl pendant is available to buy from Shapeways already. Ah... if only a book could be taken from idea to completion equally quickly. 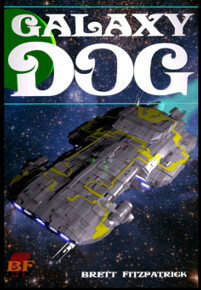 While you are waiting for me to stop messing around with Blender and get on with writing Cosmic Girl, you can check out one of my other books, such as Galaxy Dog. won’t work for 3D printing. If you want merch printed out at Shapeways to look smooth, you have to add more geometry. This is called subdivision, and I guess it’s like adding pixels to a jpg. The lines don’t get less blocky, but because the blocks are smaller, you don’t notice them so much.